I may be in the very small minority here, but I truly enjoy celebrating the Fourth of July! To me, it’s a reminder to be thankful for all of the men and women who have fought so hard for the freedom of our country. We are so very fortunate here in the US to have the rights that we have. Besides celebrating our freedom, I love the family time! Every Fourth, our huge family gets together. We lay out by the pool, watch baseball, barbecue, and then climb to the roof to watch fireworks. One of the coolest parts about living in Orange County, is being able to see the fireworks from Angel’s Stadium and Disneyland! 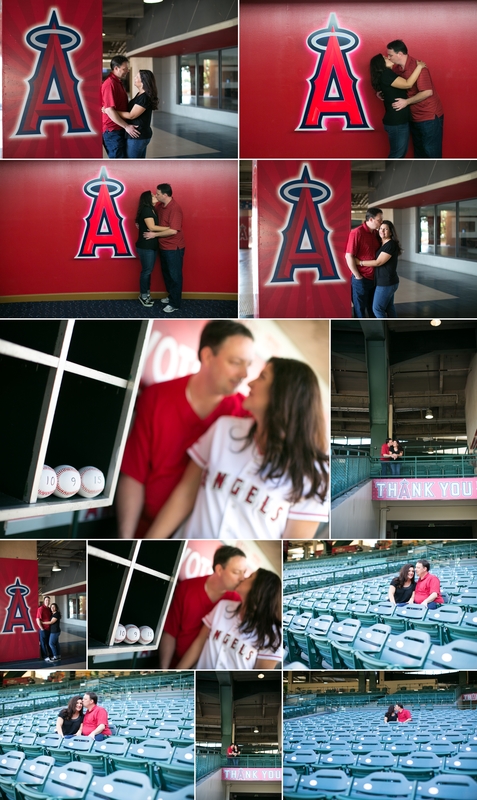 In honor of the Fourth, check out this fun baseball engagement session photographed by Brianna at Angel’s Stadium.